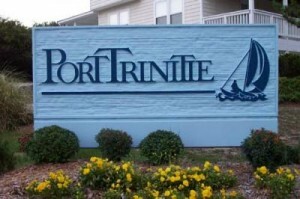 Port Trinitie in Duck, North Carolina was developed with active vacationing families in mind. Guests have access to oceanside and soundside community pools and tennis courts. Port Trinitie also offers convenient beach and sound access. The community includes condominiums and single family homes for both whole ownership and multiple ownership stretching from the Atlantic Ocean to the Currituck Sound.